Joomla 3.0 Tutorial – Uninstall a Module in Joomla. If you are not happy with a module on your website you can choose to unpublish the module in the Module Manager. If you want to totally delete and uninstall it, you can do that in Extension Manager – Manage. Below is a tutorial on how to delete and uninstall a module from your Joomla 3.0 website. In your Extension Manager you install, uninstall, check your database, install languages, check warnings and more. 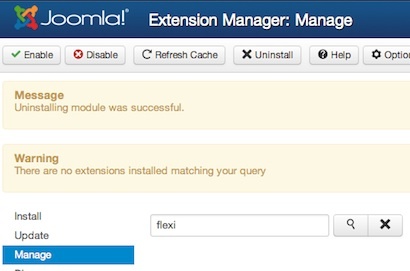 To uninstall a module from your Joomla 3.0, you will have to switch to the ‘Manage’ tab. 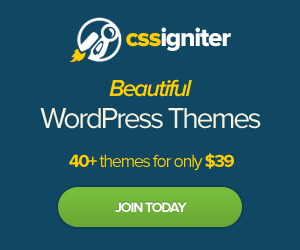 Search for the module you want to uninstall. You can scroll through all the modules, or you can type in the module name in the search box. I was searching for the ‘Flexi Custom Code’, so I typed in ‘flexi’ in my search bar. After you clicked on ‘Uninstall’ you will see a yellow message box that it was successful. Hope that helps you, please leave me a comment if you have any questions.